Bjarke Ingels Group, (BIG) set forth a proposal to refurbish a crumbling part of the BQE for less money less traffic disruption and more green space than the plan proposed by the Department of Transportation. 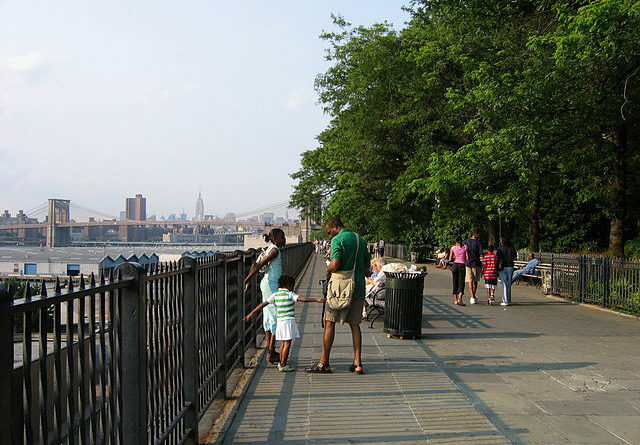 BIG’s idea, which they came up with pro-bono, is called the Brooklyn-Queens Park. 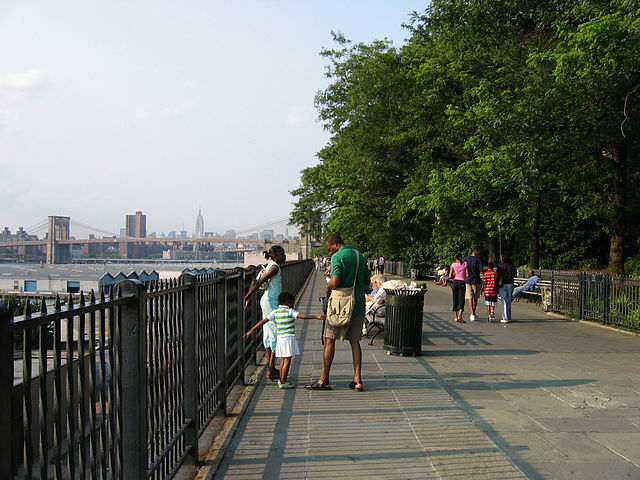 The plan will allow the beloved Brooklyn Heights Promenade to stay open while the highway is repaired and would transform the three-layered road into a multi-leveled green space. The proposal calls for a new six-lane highway at ground level to be covered by a public park which will enlarge the present size of the park by 10 acres. 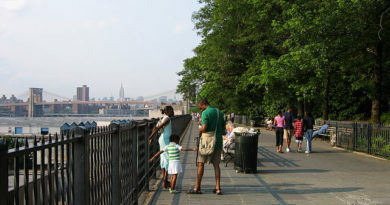 One of the DOT plans calls for the construction of a temporary highway above the promenade while the road below is fixed. A different plan would have work on the highway done lane by lane, which would wreak havoc on traffic. BIG’s plan will be faster and cheaper than DOT’s because they will not have to build another, temporary highway, according to BIG’s Siegel.